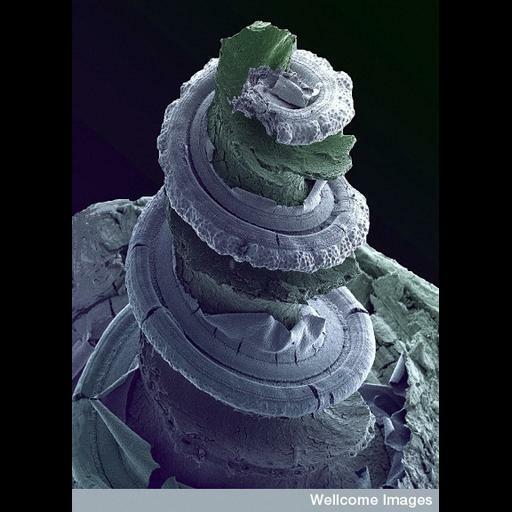 Color-enhanced scanning electron micrograph of the inside of a guinea pig inner ear showing the hearing organ, or cochlea. Running along the spiral structure are rows of sensory cells which respond to different frequencies of sound. The whole organ is just a few millimeters long.